This post is sponsored in conjunction with PumpkinWeek . I received product samples from sponsor companies to aid in the creation of the PumpkinWeek recipes. All opinions, as always, are mine alone. 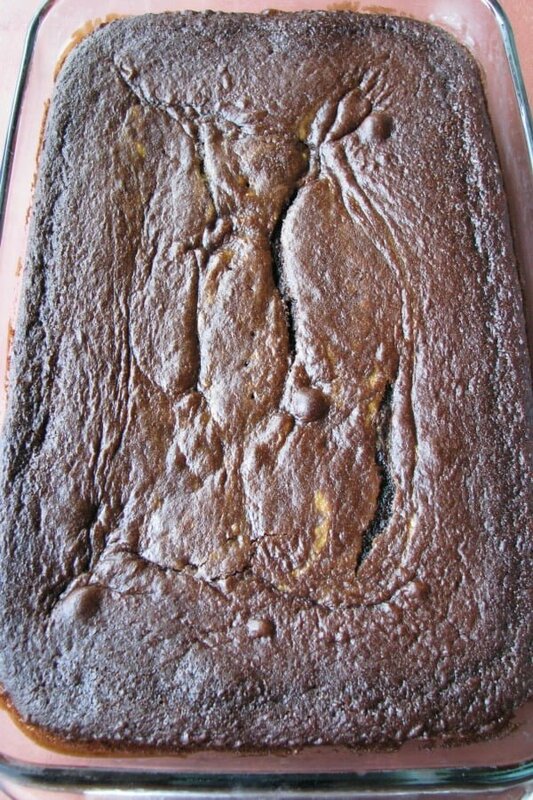 Chocolate Cream Cheese Pumpkin Cake, made with boxed triple chocolate cake mix and canned pumpkin puree, is an easy Fall dessert. Welcome to the final day of #PumpkinWeek 2018 hosted by Love and Confections and A Kitchen Hoor’s Adventures! I probably should have called this a One Bowl Pumpkin Chocolate Swirl Cake because that’s really what it is, but I wanted to highlight the cream cheese as well. Whatever you want to call it, this pumpkin, cream cheese, cake mix cake is really easy to make. In a large mixing bowl combine boxed triple chocolate fudge cake mix with pudding in the mix and three #PumpkinWeek sponsor Eggland’s Best Eggs. Add one cup water and 1/cup of vegetable oil. 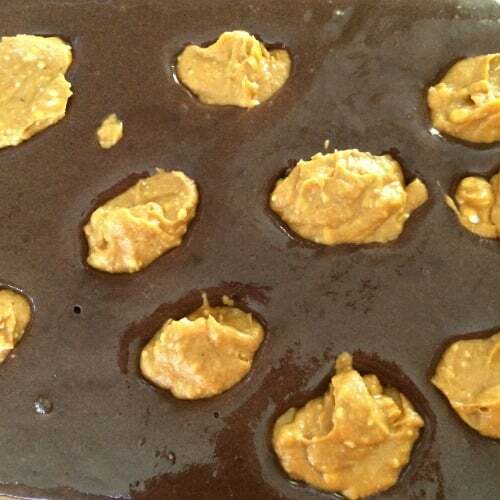 Pour into a 9×13 glass baking pan that has been greased with butter. Scrap the mixing bowl with a rubber spatula. In the same bowl, combine room temperature cream cheese and melted butter. It’s fine if there is still some cake mix in the bowl. 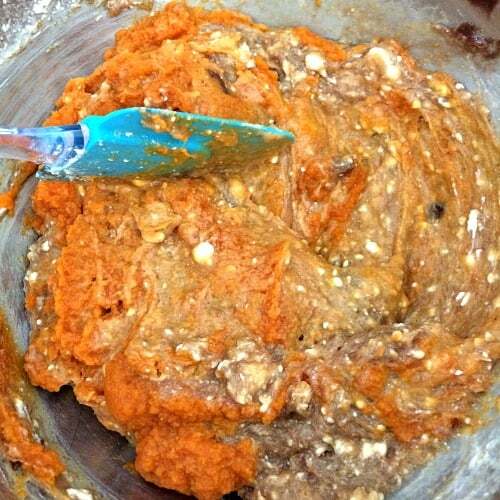 Mix it until it’s as smooth as possible, then drop by spoonfuls on top of the prepared cake mix. Using a butter knife, swirl the cream cheese mixture into the cake mixture. Keep swirling, then swirl some more, if you don’t the pumpkin mixture will sink to the bottom and not combine with the cake. Trust me on this one, I know! Bake at 350 for 35-40 minutes, or until a toothpick inserted into the middle comes out clean. 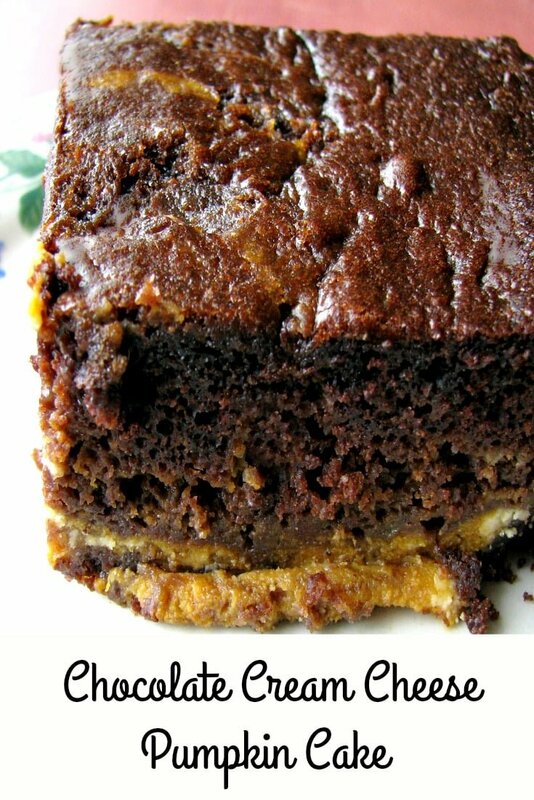 Read on after the printable recipe for Chocolate Cream Cheese Pumpkin Cake to see all the other recipes shared today. 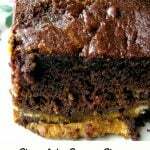 Chocolate Cream Cheese Pumpkin Cake, made with boxed triple chocolate cake mix and canned pumpkin puree, is an easy Fall dessert. Preheat the oven to 350 degrees F. Grease a 9x13 glass baking pan. 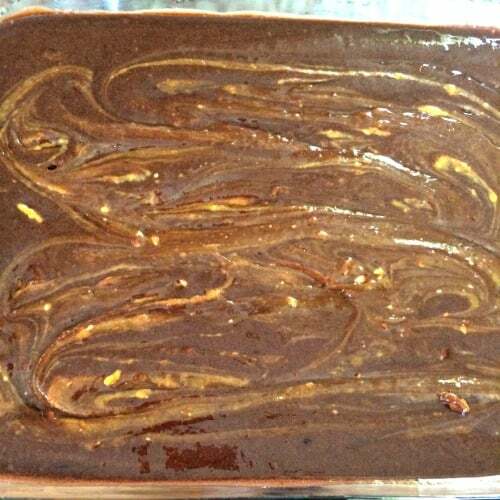 In a large mixing bowl combine triple chocolate fudge cake mix with pudding in the mix and the eggs. Add 1 cup water and 1/2 cup vegetable oil. Beat with a whisk until completely smooth, about two minutes. Pour into the baking pan. Scrap the mixing bowl with a rubber spatula. In the same bowl, combine room temperature cream cheese and melted butter. Add pumpkin puree, brown sugar, and nutmeg. 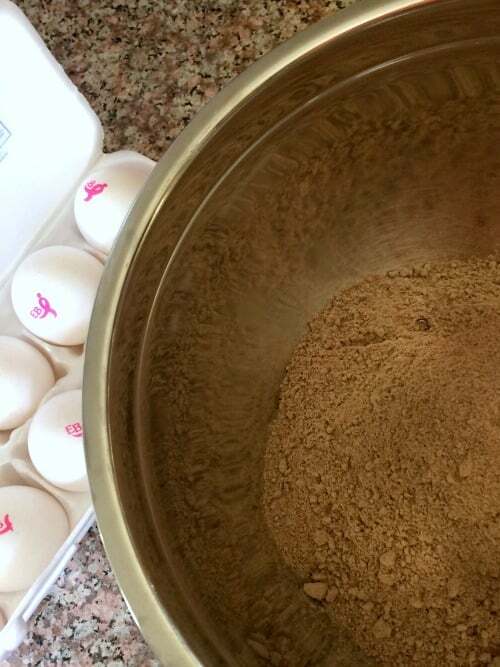 Mix it until it’s as smooth as possible, then drop by spoonfuls on top of the prepared cake mix. 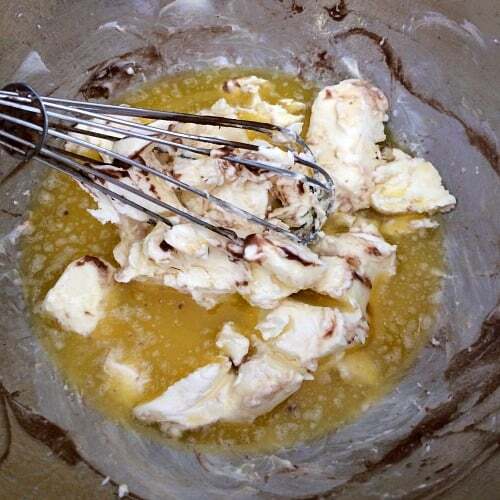 Using a butter knife, swirl the cream cheese mixture into the cake mixture. Keep swirling, then swirl some more, if you don’t the pumpkin mixture will sink to the bottom and not combine with the cake. Allow to cool completely on a raised rack before slicing. You can ice the cake if desired, or serve plain. Love the addition of the pumpkin cream cheese swirl.